Sustainability is most often thought of in environmental terms. But, I know from experience that the family farm is only truly sustainable when the family wants to stay on the farm. 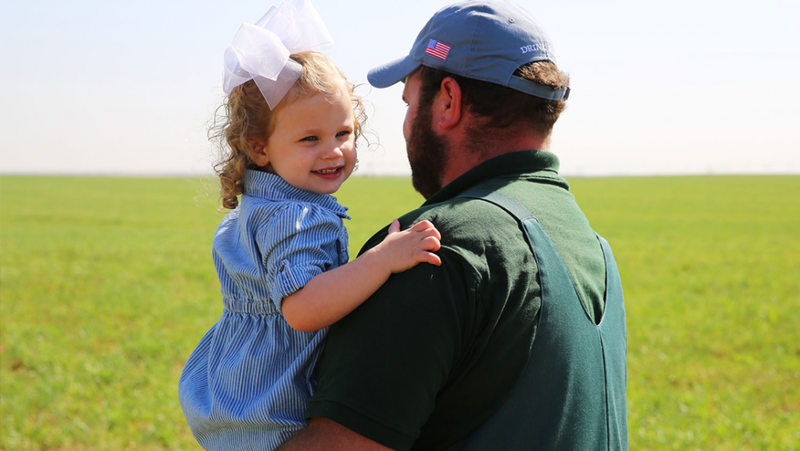 A healthy work life balance has to be achieved to save the family farm. Unfortunately, this is the case for many young people who have a similar experience. Farmers work around the clock, 12 hours a day, sometimes 365 days a year just to pay the bills. There are no sports, no activities — just school, the farm and church. It’s a hard life; and it’s easy to burn out. Burn out, as anyone knows, leads to poor work, bad attitudes or worse, lessening the quality of care given to animals. However, with the population set to reach 9 billion by the year 2050, farming — and feeding a global community — is an even more critical function within society. But why would anyone choose a life that is so demanding? Education truly opened my eyes, showing me there were opportunities in farming. When I visited my parents during a break at school, I told my father that we could farm in a different way. Innovation — even when it means taking risks through the use of new technology — was the best way to create a new way of life for farmers. This vision became reality several years later. We built NPD using a framework of specialization — just like you see in other businesses. This means team members are hyper diligent and expertly trained in managing their specific area. It also means that they’re not working around the clock, every day of the year. Additionally, by harnessing all technology has to offer and using the most advanced resources to scale a farming practice, it is possible to build and sustaina successful business that allows employees to live a well-balanced life, while also providing a best-in-class product. Two of my nephews have come back to the farm and are helping to create a framework that will guide our business for generations to come. And my three daughters, who are now all in college, have the option to come back to the farm and help the business grow if they want. I couldn’t be more proud of them, and I know my dad would be too.